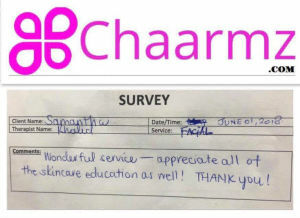 "Wonderful service - appreciate all of the skincare education as well! Thank you!" "Very calming, learned a lot about my skin. KM understood my needs and addressed them. Super relaxing." Like us on Facebook. Book An Appointment via our Facebook Page. Thank you!